Jai Mata Ji DI. Jai Guru Maharaj Ji Di. Jai Baba Ji Di. 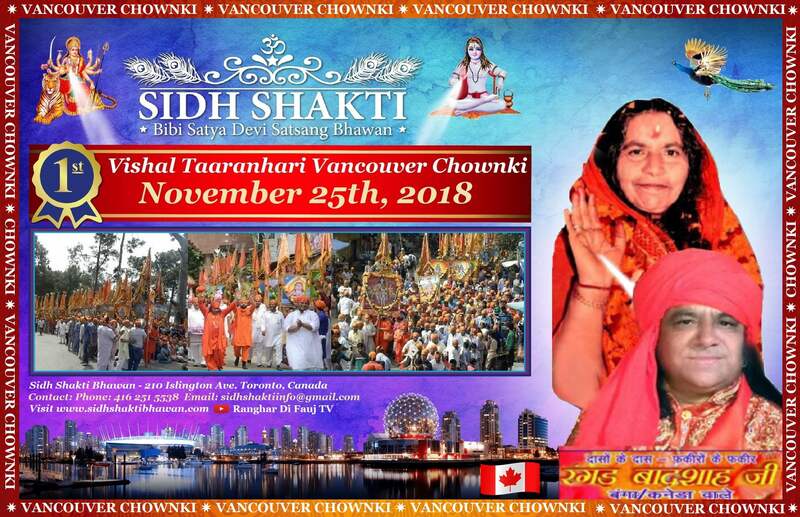 On November 25th 2018, Sidh Shakti Bhawan is proudly announcing the 1st Vishal Taaranhari Chownki in Vancouver! We are currently in the process of providing transportation for sangat and their families. We will be departing on Air Canada from Sidh Shakti Bhawan on the morning of Saturday, November 24th and returning on Monday, November 26th. If you would like to get more information about the first Vancouver Chownki, please contact us using this information below.